Legal residents of Russia holding Armenian citizenship are supposed to apply for the compulsory social insurance, as a result of Armenia’s obtained membership in the Eurasian Economic Union and simplified requirements for the employment of Armenian citizens in Russia. This opportunity allows Armenian citizens to apply for the benefits provided by social security programs and receive appropriate payment. 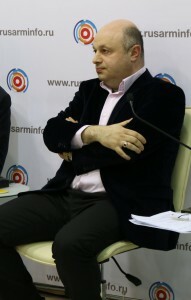 In an interview to «RUSARMINFO» agency Ruben Kirakosyan, President of the Russian-Armenian Lawyer Association, explains that starting from 2015 Armenian citizens may apply to receive the benefits in accordance to the so-called «sick sheet”, as well as corresponding benefits for women embarked on the record for pregnancy, childbirth and maternity payments, including also social benefits for burial in the territory of the Russian Federation. «Certain standards should be spelled out in an employment contract to ensure the legally meaningful character of labor relations. It is about social guarantees for workers, in particular, the social and medical insurance,» said the lawyer. According to Kirakosyan, in the process of employment in the territory of the Russian Federation an Armenian citizen should provide to his/her employee the necessary documents on social and health insurance. In case of their absence, the employer himself undertakes the initiative to issue the necessary documents. On January 1, 2015 the new rules on the procedure for the entry into the labor relations for the citizens of Armenia in the Russian Federation came into force. According to these rules, in the employment process in Russia Armenian citizens are no longer required to obtain «work permit» and «patent». Labor relations for the citizens of Armenia are formalized in the same way as for the citizens of the Russian Federation. Based on Kirakosyan’s words, to be legally employed in the territory of the Russian Federation Armenian citizens should present their passport, migration card with the “job/employment” sign on the entry purpose. 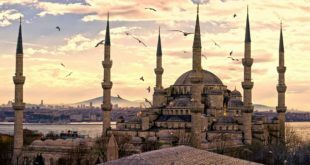 In addition, a citizen of Armenia is obliged to find a job within three months from the date of entry into Russia, otherwise migration card will be considered overdue. The lawyer also notes that if the employer does not wish to formalize labor relations with an Armenian citizen, then the applicant can file a complaint with the Labour Inspectorate, the Prosecutor’s Office, the Court and, of course, seek legal advice. Note: Currently about 517 thousand citizens of Armenia live in Russia, as reported by the Federal Migration Service of the Russian Federation. 208,000 Armenian citizens are officially registered in Russia and have obtained the RTD (temporary residence permit), and 172 thousand citizens of Armenia hold the residence permit issued by the Russian authorities.